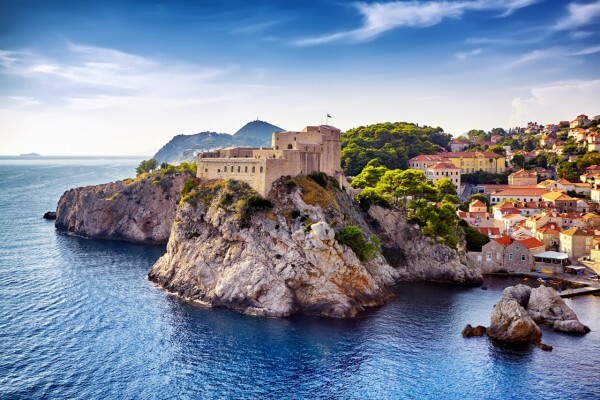 Dubrovnik is a must-see destination when visiting Europe and getting to Dubrovnik Airport has never been easier with significantly more international connections from Europe and beyond. Getting to the airport is the first part of the journey then the question remains what are your Dubrovnik Airport to Dubrovnik transport options? Luckily for you, we have dug up all the Dubrovnik Airport transport options for you. Dubrovnik Airport is located just 21km from Dubrovnik old town and is a 25-30-minute drive from the airport. There are no trains in Dubrovnik and as such no train service to Dubrovnik Airport. That leaves just cars, minivans and bus transport from the airport to Dubrovnik. By far the most convenient and comfortable way to get from Dubrovnik Airport to Dubrovnik is to take a private transfer. A Dubrovnik private transfer will cost you the same as a Dubrovnik taxi but the big plus is you get a better vehicle, and a door to door service. If you would like a private transfer from Dubrovnik Airport to Dubrovnik or a private transfer from Dubrovnik to Dubrovnik Airport, Octopus Transfers Croatia has you covered. Our driver will pick you up from Airport arrivals, assist you with your bags and you will be on your way to Dubrovnik where you will be dropped off at Dubrovnik Old town, Dubrovnik Hotel or your Dubrovnik private accommodation. Our, Dubrovnik Transfer prices are fixed when you make the booking and our drivers hold professional driver qualifications and speak English. The big bonus with a Dubrovnik private transfer as opposed to a taxi is that the service is pre-booked and the driver is waiting from you as you exit customs holding up a sign with your name on it. No Dubrovnik Taxi queues or wondering where your driver is. Prices start at 265 Kuna. The Dubrovnik airport shuttle service which runs to and from Dubrovnik airport is a great option for those that are on a tight budget. This service will take you from Dubrovnik Airport and make stops at Pile Old Town bus stop, ferry port and Dubrovnik Bus Station. It will get you from Dubrovnik Airport to the Old town relatively simply. The Dubrovnik shuttle bus runs 7 days a week from the airport and costs 40 kuna making it very inexpensive. The Dubrovnik Airport bus pick up location is in front of the terminal and easy to find and the departure of the bus is aligned with the arrival of flights into Airport Dubrovnik. There are taxis available at Dubrovnik Airport for those that prefer taxi services. The taxi rank is located just outside the Dubrovnik airport terminal. Prices can vary from 250-350 Kuna. Be sure to ask the driver to put the taximeter on. There can sometimes be delays in waiting for a taxi as flights arrive at the same time and you get a huge number of people needing a taxi at the same time. We would recommend that you book in advance to avoid waiting around. Contact our customer services team who will assist you with any enquires.